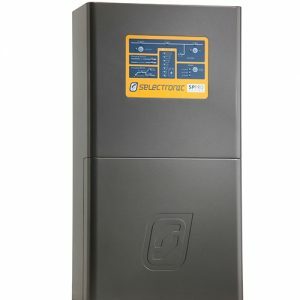 Selectronic SP PRO Series bi-directional sine wave inverter, single-phase. 100% Australian designed and manufactured. Low distortion interactive inverter charger with grid feed and grid support ability all in one unit. Five stage battery charging with a dual float stage and adjustable temperature compensation.